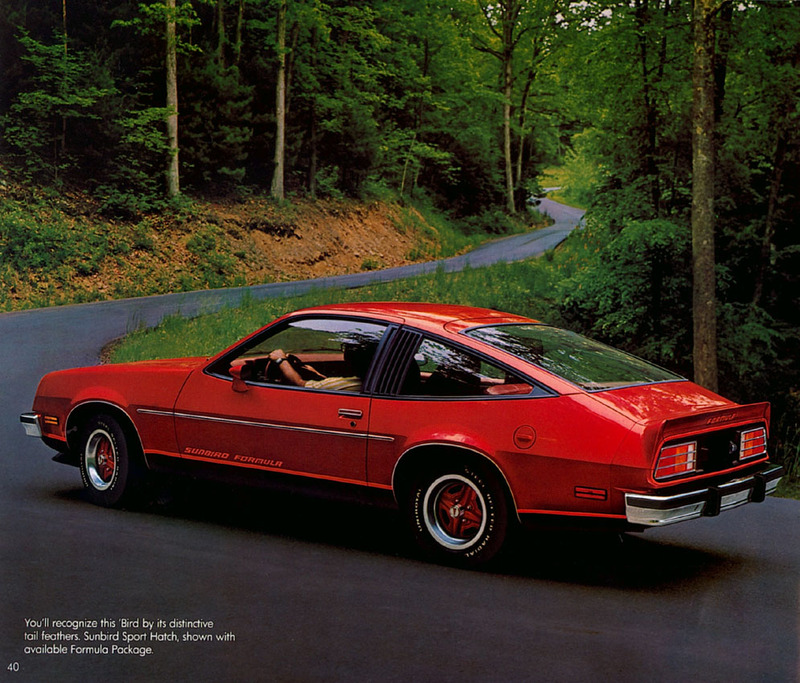 1980 was the last model year for the rear wheel drive Pontiac Sunbird, Pontiac’s variant of Chevrolet’s Monza. 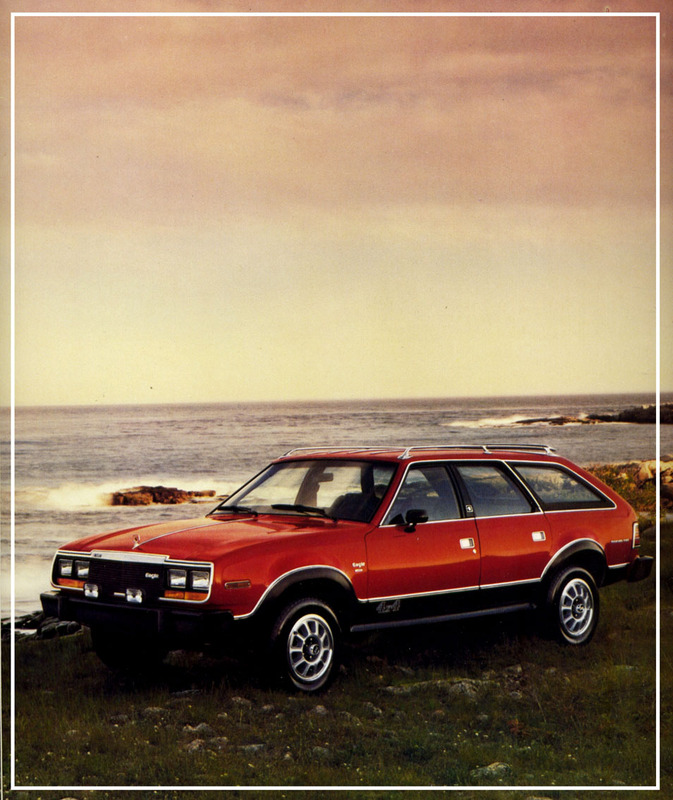 Initially available in base coupe, sport coupe, and sport hatch (a base hatch was added mid-year, but the wagon was permanently gone), the Sunbird received few changes for 1980. The standard engine was the LX8 Iron Duke 2.5 liter/151 ci inline four with a Holley two-barrel carburetor, making all of 86 bhp. Optional was the LD5 110 bhp 3.8 liter/231 ci V6, also with a two-barrel carburetor. The standard transmission was a four-speed manual, with an optional three-speed automatic available. Mileage with the inline four and four-speed manual was a pretty impressive: 22 city/35 highway by the standards of the day (around 19/32 by today’s standards). Getting decadent by spending $545 for the three-speed automatic and the V6 combination took mileage down to 20 city/27 highway. With the V6/automatic transmission combination and an 18.5-gallon fuel tank, a Sunbird owner could expect a range of 390 miles. Not much came standard for the $4,371 base price (approximately $14,600 in 2018 dollars), especially to our 2019 eyes. Feature highlights for a base Sunbird included bright grill with park and signal lamps, whitewall tires, custom wheel covers, and “Sunbird external identification.” Inside, base Sunbirds included tinted windows, vinyl bucket seats, and a Delco AM radio. Moving up to the sport coupe ($4,731) or the sport hatch ($4,731) added body color mirrors, “custom” vinyl bucket seats, and various moldings, but was still rather austere. Luxury trim ($195) added cloth seats along with snazzier carpeting and door trim. Available only with the sport hatch, the rare (only 1% of production) and expensive ($674, or about $2,300 in today’s dollars) Formula Package added a front air dam and rear spoiler, along with blacked-out grille, rally wheels with trim rings, and white lettered tires. It wasn’t all bark and no bite: the Rally Handling Package was included, with larger front and rear stabilizer bars. Inside, a tachometer and other rally gauges were included. The whole combination meant that a sport hatch with the Formula Package, the V6, and the four-speed manual came to $5,630 (about $18,800 in 2018 dollars). The 0-60 time for this top-of-the-line Sunbird was probably between 9 and 10 seconds—not far from some versions of the 1980 Pontiac Firebird Trans Am. 1980 Sunbird Sport Hatch with the Formula Package, linked from the Old Car Manual Project’s amazing brochures section. Mechanical options included variable-ratio power steering (the most popular option and required with the V6) and power front disc brakes. Inside, you could add air conditioning ($531), a tilt steering wheel, and an AM/FM stereo cassette player (two different 8-track radios were also still available). A removable sunroof was also available for $193. The rear wheel drive Sunbird sold well even in its final year, partially because of the extended model year. Almost 188,000 were sold with over 100,000 being the base coupe, making the Sunbird the best-selling of all the 1980 H-bodies. Pontiac would return partially to the Sunbird name with the 1983 2000 Sunbird convertible version of the J-body—by 1985, the Sunbird name would once again stand alone. Sunbirds of this generation rarely come up for sale in Hemmings Motor News and eBay Motors—they seem to have disappeared entirely. You do occasionally see examples of the “sister” Chevrolet Monza advertised. Make mine Agate Red, please.